I’ve recently picked up a few new back and side sets that I haven’t gotten a chance to properly photograph for the site, but I want to share them here. They’re all great in their own respects. 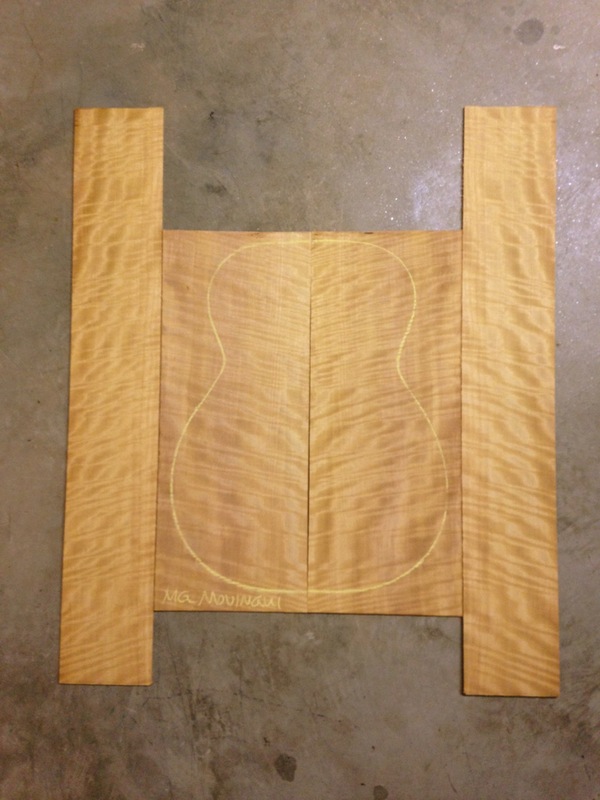 First up is this great set of waterfall Movingui, or Satinwood, from Aaron Hix Tonewoods. The figure is unbelievable, and I really like the tap — it’s very crisp, much like Paduak. Next is another fantastic set from Aaron, perfectly quartered Peruvian Walnut, which looks like a Hershey’s chocolate bar. Its gorgeous in it’s homogeneity, and has a strong, deep fundamental that’s distinctly walnut-like. Next we have yet another cool set from Aaron. 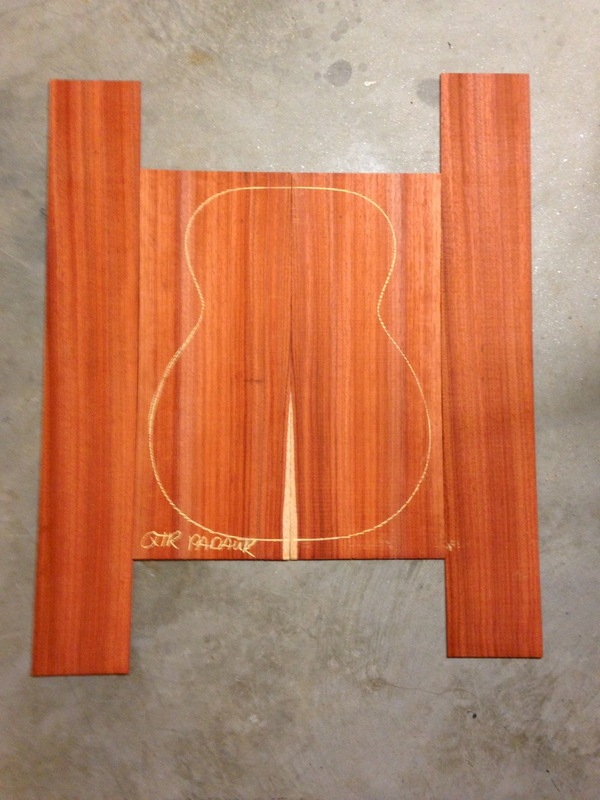 This is quartersawn Padauk, from tropical West Africa. 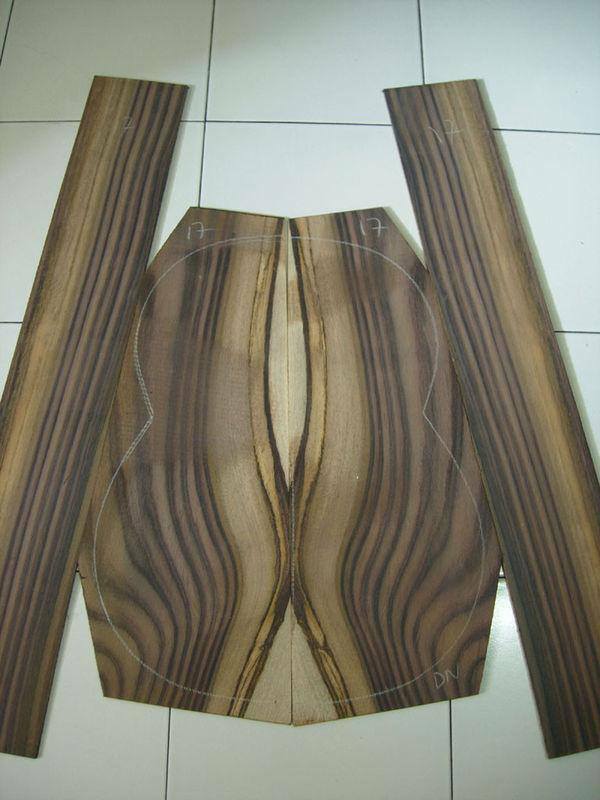 It’s crisp, responsive tap makes it an ideal tonewood, especially on large-bodied guitars, baritone guitars, etc. And finally, some incredibly striking Indonesian Rosewood, which is grown as a shade tree on the tea plantations there in Indonesia, making it one of the more sustainable rosewoods. It’s a true Dalbergia, with a tap very similar to East Indian Rosewood. 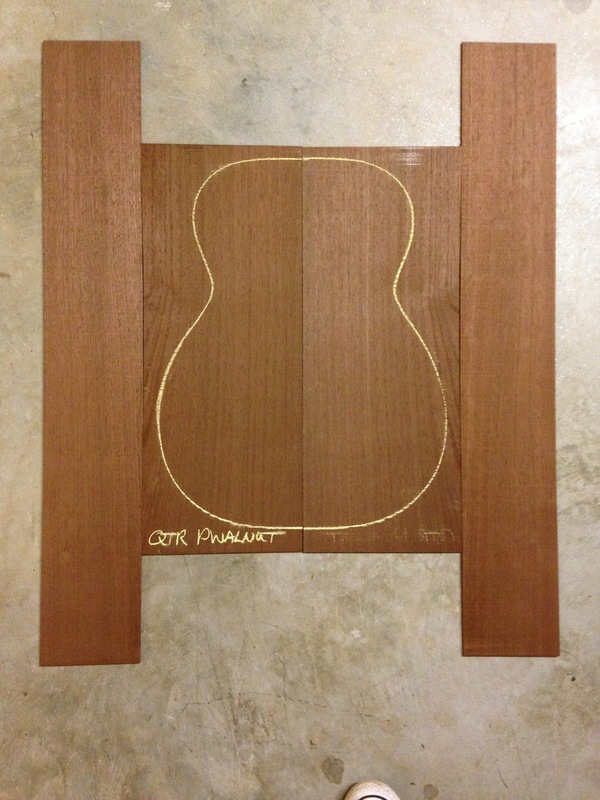 This one’s got a little more drying to do, but should be ready to build with in a year or so.